On November 8, the FBI, the NASA-OIG and Estonian police arrested several cyber criminals in “Operation Ghost Click”. The criminals operated under the company name “Rove Digital”, and distributed DNS changing viruses, variously known as TDSS, Alureon, TidServ and TDL4 viruses. You can read more about the arrest of the Rove Digital principals here, and in the FBI Press Release. What does the DNS Changer Malware do? The botnet operated by Rove Digital altered user DNS settings, pointing victims to malicious DNS in data centers in Estonia, New York, and Chicago. The malicious DNS servers would give fake, malicious answers, altering user searches, and promoting fake and dangerous products. 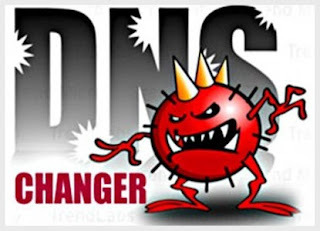 Because every web search starts with DNS, the malware showed users an altered version of the Internet. Under a court order, expiring July 9, the Internet Systems Consortium is operating replacement DNS servers for the Rove Digital network. This will allow affected networks time to identify infected hosts, and avoid sudden disruption of services to victim machines. This page describes how you can determine if you are infected, and how you can clean infected machines. To check if you’re infected, Click Here. If you believe you are infected, here are instructions on how to clean your computer.